Frank is an experienced design manager. He is founder and independent design manager at frank | corporate identity management. He advises and supports profit and not for profit organizations and businesses in how to use design to achieve business objectives. For example he has done that for the central government of the Netherlands when they decided to reduce the almost 200 visual identities to only one central visual identity. 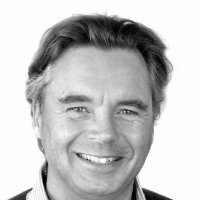 Furthermore Frank is co chairman of the Design Management Netwerk (DMN). The objective of DMN is to develop and share knowledge on design as a strategic organizational asset, to make identities tangible, generate new product and service propositions and design user centered experiences. By managing these processes effectively they contribute to designing and managing the businesses of the future. Specialty: As design manager, consultant and speaker make people understand that use of design adds indispensable value to organizations and businesses.